SOME TDS AND Senators will resume their work in Leinster House next week when the heads of Ireland’s major banks come before the Oireachtas Finance Committee. The chief executives of AIB, Bank of Ireland, Permanent TSB and representatives from Ulster Bank will appear before TDs and Senators on Tuersday, Wednesday and Thursday next week with mortgage arrears likely to be top of the agenda. Figures out last week showed that over 97,874 mortgages were in arrears at the end of June with lenders owed a total of €2 billion. Fianna Fail’s finance spokesperson and committee member Michael McGrath said he will be keen for the chief executive of AIB, David Duffy, to substantiate a recent claim that a fifth of people in arrears with the bank are strategic defaulters. “They can expect robust questions on that issue because no evidence has been presented on that claim that one-in-five are strategically defaulting, so I’d take that statement with a pinch of salt. I will be putting it up to them to substantiate those claims,” McGrath said today. 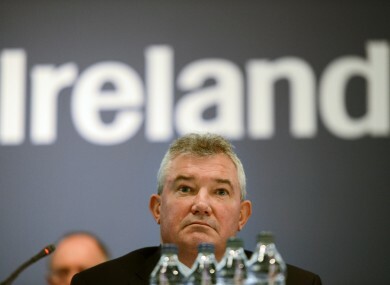 McGrath said he is also keen to speak to Bank of Ireland’s chief executive Richie Boucher about the bank’s approach to split mortgages and their policy of “no debt forgiveness whatsoever”. The Cork South Central TD was also critical of the government’s handling of targets set down for the banks to deal with mortgage arrears cases. Banks had been tasked with offering sustainable solutuons to a fifth of customers in arrears by the end of June, but McGrath said there is no way of verifying if this has happened. “The banks claim they have achieved those targets but the Central Bank and the Department of Finance haven’t confirmed this,” he said. Duffy will meet TDs and Senators on Tuesday at 2pm. Boucher will appear before the committee on Wednesday at 10am followed by Ulster Bank representatives at 2pm. On Thursday, the committee will hear evidence from Permanent TSB chief executive Jeremy Masding from 10am. Email “TDs and Senators coming back next week to grill bankers over mortgage arrears”. Feedback on “TDs and Senators coming back next week to grill bankers over mortgage arrears”.